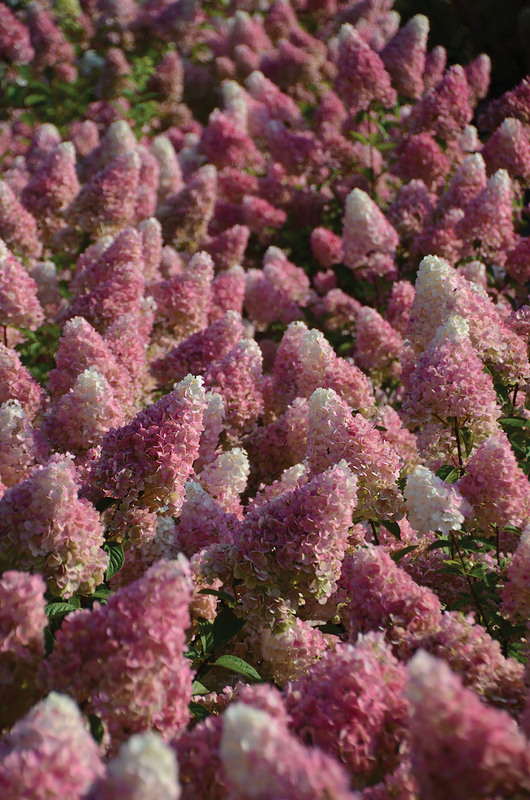 Hydrangea paniculata ‘Rensun’ | J.C. Bakker & Sons Ltd. Flowers emerge creamy white in mid summer, change to pink and finally to strawberry red. Adds colour to a small space garden or container and the fantastic flower colour lasts well into fall. SKU: 32230303. Categories: First Editions, Shrubs. Tags: First Editions, Hydrangea, paniculata, Rensun, Strawberry Sundae.